On 30 November 2018, the Council of the European Union published a draft text for its general approach on the proposal for a regulation on European Production and Preservation Orders in criminal matters – also known as “e-evidence”. The text is to be adopted by EU Member States, represented in the Council. Already the initial proposals of the European Commission raised concerns regarding the fundamental right to privacy and protection of personal data, and the concerns are growing with this new text. For instance, the text reveals a severe deterioration of the few provisions that were meant to safeguard these fundamental rights (see, for example, deletions in recital 55 and articles 14.4.f and 14.5.e). Consequently, on 5 December 2018, 18 civil society organisations sent a letter urging EU Member States to oppose the adoption of the draft general approach and seriously reconsider the position of the Council. We are writing on behalf of 18 civil society organisations from across Europe and beyond. In view of the upcoming Council meeting regarding the draft Regulation on European Production and Preservation Orders, we urge you to oppose and seriously reconsider the draft general approach. 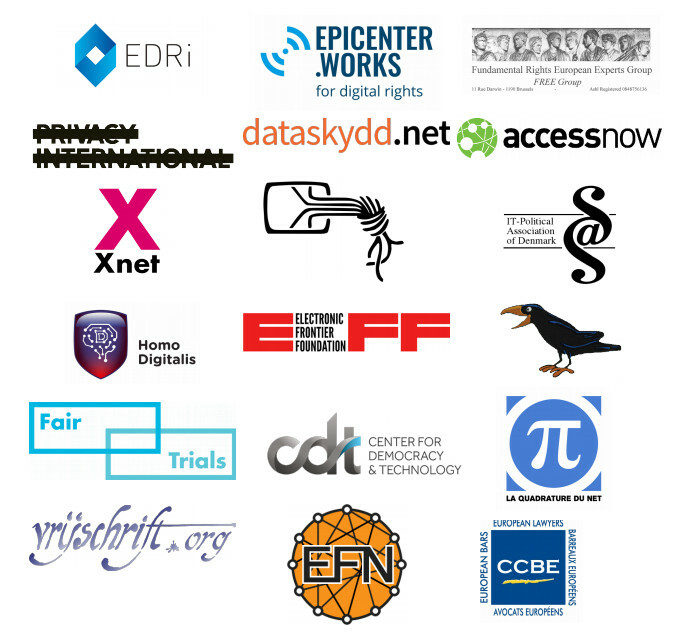 We join the eight Member States that wrote to the European Commission and the Austrian Presidency asking to take into account input from stakeholders, including civil society. contemplates the possibility to issue orders without court validation, disregarding what the CJEU has consistently ruled, including in its Tele 2 judgment (para. 120). Civil society is not alone in raising serious concerns. Similar views have been expressed by the European Data Protection Board (EDPB), judges such as German Association of Judges, companies like Internet Service Providers, academia, Bar Associations, the Meijers Committee, among many others. We value the role of law enforcement to protect society and understand the need for law enforcement authorities to perform their duties effectively. However, efficiency should not be achieved at the expense of weakening fundamental rights, legal safeguards and judicial cooperation.